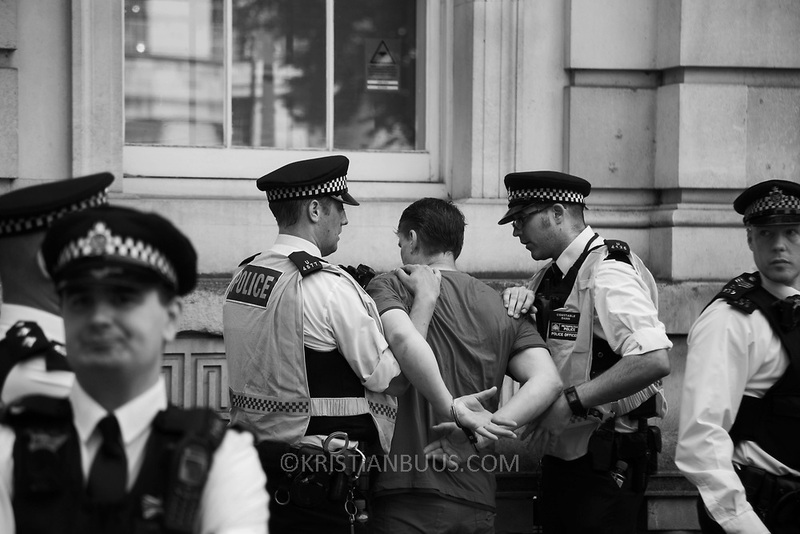 A man is detained by police outside Downing Street June 21st 2017, London, United Kingdom. He was alledgedly not part of the demonstration and was antagonising the crowd for no reason. Hundreds marched protesting against the Government's respond to the Grenfell Tower disaster. The mood was angry but peacefull and ended on Parliament Square green after police made people get of the streets and let traffic re-assume.